Contrary to popular opinion - video has not killed the radio star, and the computer has not eliminated books. Print, we’re happy to say, is alive and kicking, and looking better than ever. Saddle-Stitch uses a series of staples down the fold. This is often the most cost-effective option, especially on smaller runs and lower page count books. Perfect Binding gives your book a very distinctive look and feel. We glue the cover and page edges to give you a square spine edge. This is the best option for thicker books with higher page counts. Case Binding is the most durable and most common type of binding for hard cover books. We sew the pages together and attach the cover. We can also put hinges along the spine, to give you a flatter opening cover. Spiral & Comb Binding is a great option for books that need to open wide and lay flat. We punch holes in the sheet edges, then insert a plastic or metal spiral, or a set of intertwining teeth. Ring Binding is another great option for materials that need to open wide and lay flat. We punch holes in the sheet edges, so they can be inserted into a ring binder. We can also print custom binders, tabs and dividers, and pre-insert the sheets so you receive fully finished binders. 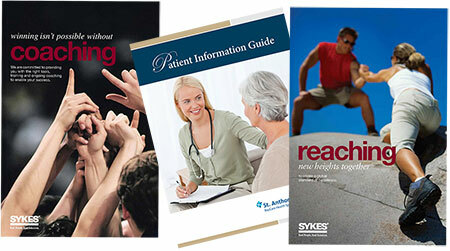 We’re your one-stop solution for printing catalogs, books and all types of bound materials. We can even handle your page layout, graphic design and copywriting. 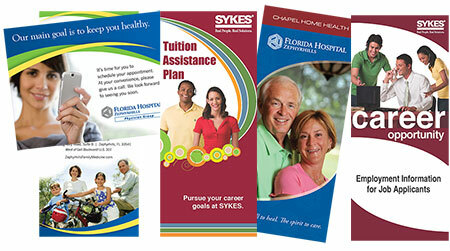 Call and talk with one of our printing experts, or send us your printing specifications for your current project.